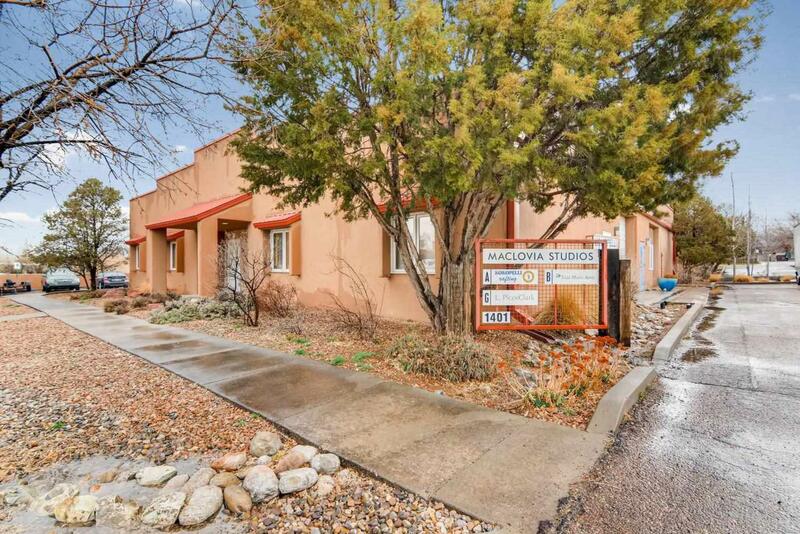 Wonderful live-work opportunity studio condo at the Maclovia Studios. Unit B features a main artist studio/workshop room with very tall ceilings. This unit does NOT offer an overhead door (tall garage door) but does offer two standard exterior access doors. Two rooms are off the main studio space that can be used as a bedroom, living room or office. Main office/living area with front door access to outside. Second main office/living area/bedroom. Half bathroom. This unit orients toward the southeast. Listing provided courtesy of J.C. Linson of Barker Realty, Llc. © 2019 Santa Fe Association of REALTORS®, Inc. MLS. All Rights Reserved.